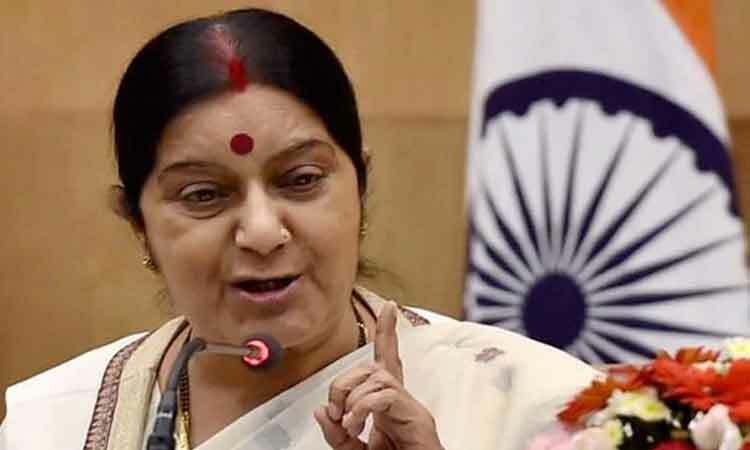 New Delhi, April 15 (IANS) BJP leader Sushma Swaraj on Monday drew a Mahabharata analogy over Samajwadi Party Lok Sabha candidate Azam Khan’s ‘khakhi colour underwear’ remark. In a tweet in Hindi, she equated Samajwadi Party founder Mulayam Singh Yadav to Bhishma Pitamah who remained silent when injustice was done to Pandavas. “Mulayam bhai, you are the Pitamah of the Samajwadi Party. The Draupadi of Rampur is being disrobed in front of you. Don’t make the mistake of staying silent like Bhishma.” Jaya Prada, who is in the fray from Rampur against Khan, was formerly in the Samajwadi Party and joined the BJP last month.